Bonding Pads :: Orthodontic Product Development - Orthogap, Inc.
Combines bracket staging and adhesive mixing pad surface into one. Positions for 20 brackets, 8 molar tubes, and 8 accessory attachments. 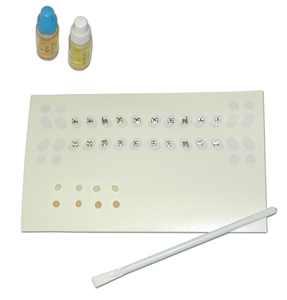 Product is packaged in easily stored pads of 25 individual bonding sheets.